There are No Excuses for Not Having the Best Life Insurance Policy at the Best Price! I don’t believe in life insurance, it’s a scam. My debts don’t have to be paid after I die. I totally think that I will never die. I won’t buy life insurance because I have to pay a higher premium because I smoke. I am going to wait until I have stopped smoking cigarettes before I get life insurance. I’m only forty I’m too young for life insurance. My spouse can deal with it; I will be dead who cares. As your trusted Insurance Broker, it is my hope that after reading through this list that some of your will realize how ridiculous and short sighted all of the above statements are. Do you have any dependents such as your children or your parents? Do have a large outstanding balance on credit cards / lines of credit? If you answered yes to any of these questions it is a likely indication that you should have a life insurance policy in place. The answers to these questions along with the advice of a professional insurance broker will guide you to figure out if you should buy a life insurance policy, and if you do, what type of life insurance coverage you should purchase. One of our life insurance experts would be more than happy to answer any of your questions. Please feel free to contact one of our life insurance experts for a free consultation. Absolutely Free. No Cost. No Obligation. 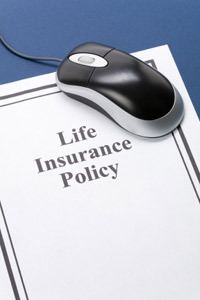 You may also be interested in one of our free online life insurance quotes.